Michael Winner, the legendary film director, writer, and food critic, is a colorful figure who has led a remarkable life. He has a reputation for being outspoken, and, true to form, in his autobiography he tells it like it is with sharp and insightful observations. Winner gained his first taste of fame at age 14, when he met the stars for a showbusiness column in 20 London local papers. At Cambridge he edited the student newspaper and became a local celebrity. 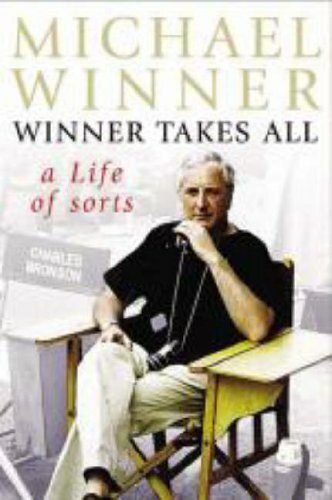 Winner recounts his early life with relish and provides fascinating accounts of his experiences directing some of the world's most famous actors and actresses, including Charles Bronson, Sophia Loren, Joan Collins, Orson Welles, Marlon Brando, and Anthony Hopkins. Many of them became close friends. As a food critic, Michael Winner is famous for shooting from the hip, and love him or hate him, he is constantly in the public eye.